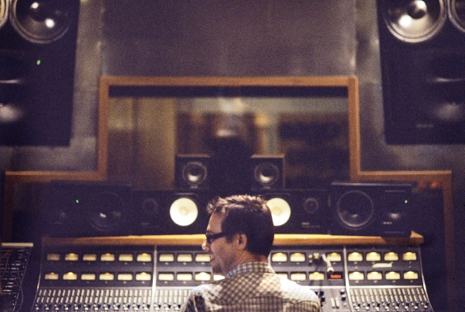 Eli Janney is a Platinum and Gold record awarded producer and engineer. Eli was born and raised in Washington, DC, learning under the masterful ears of Don Zientara (Minor Threat, Fugazi, Bikini Kill) at Inner Ear Studios. He worked there recording many of DC’s finest bands, including The Nation of Ulysses, Shudder to Think, and Jawbox, and eventually engineering for producer Ted Niceley (Fugazi, GVSB, Noir Desir). Eli moved to New York in 1991; to pursue a musical career with the bands Girls Against Boys. Girls Against Boys was active from 1991 to 2003, making six albums (including three for Touch & Go, one for Geffen) and traveling the world, headlining festivals and touring with such acts as Jesus Lizard, Garbage, Rage Against the Machine, and the Yeah Yeah Yeahs. During the periods between tours and recording, Eli continued to record and mix bands, while discovering a love of DJing and remixing. He held a weekly party in SOHO in NYC for a year and a half, and remixed groups like Sneaker Pimps, Morcheeba, Duran Duran and Garbage. Eli retired from touring in 2003, concentrating on studio life, working with Ryan Adams, Jet, Motion City Soundtrack, and producers Steve Lillywhite and Adam Schlesinger along the way.